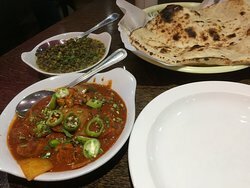 07/04/2019: I try to visit this Indian once a week, I have eaten at many Indian restaurants and this is by far the best. 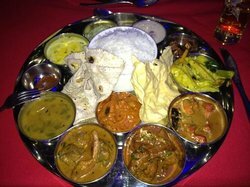 The thali platter is simply delicious. Very nice staff and service is excellent. 04/04/2019: My daughter and I decided to have a meal out together and she choose this place, after we looked at the reviews. 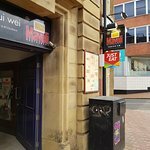 15/04/2019: El fin de semana visitamos York con mi pareja y amigos, nos apetecía un curry y encontramos este lugar porque estaba cerca del hotel. No reservé, pero conseguí una mesa, el personal era muy amigable. ¡La comida fue absolutamente asombrosa! Tan diferente a los indios "regulares", y la elección fue fantástica. Sin duda lo recomiendo y volveremos a ir! 07/04/2019: The menu was different from the usual run of the mill offerings although the chef can produce Chicken Tikka Masala if requested. 13/04/2019: I often get takeout from here great food and fast delivery service , only complaint is the portion size is just on the small side, but I will continue to order from here..
02/04/2019: We were camped on the country park with our dogs so a bit awkward going out for a meal. Monsoon do delivery oh my lord. My other half not being the adventurous type had a chicken tikka masala I decided on the Kashmir masala as I have not come across it before. 12/04/2019: Good food, Allow 20-30 mins for collection so pop into the pub for a beer. beautifully cooked, friendly staff. Great value. Take cash as no cards. 08/04/2019: We visited here recently for a family meal with 10 of us. Every single one of us thought our meals were fantastic! From poppadoms to starters to our mains, they were cooked to perfection! Super value for money and very friendly staff! Think it's the best Indian I have ever had!! Thank you and cannot wait to visit grassington again just to visit here!! 05/02/2019: Not too busy on a Tuesday evening. Service very good and the food just as good. My friend likes a hot curry and staff recommended and explained a few dishes before she made her choice. We both thoroughly enjoyed our meals. 17/04/2019: Just spent 2 nights at a B&B; in Pickering. The first night we thought we would try Spice 4U, it was deeeelicious! I had the Deshi Special (Chicken Tikka) with plain naan, and my husband had the Special Biryani. The Deshi was really great! Plenty of chicken, hot, but not too hot, perfect. The biryani was really good too. 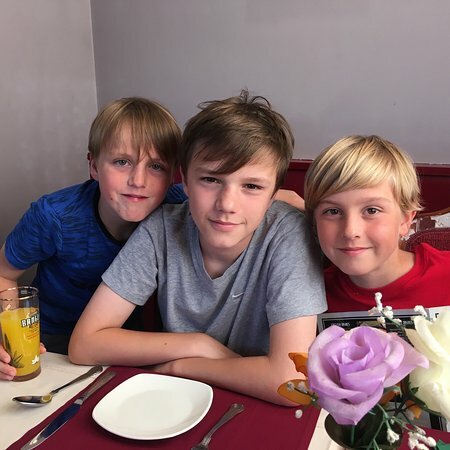 14/04/2019: We visit Spic4u at least twice a month with family and friends, if we had time it would be more. 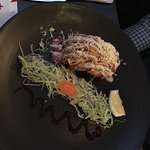 18/04/2019: We decided to have a spontaneous early evening meal during our short stay in Harrogate and turned up outside the restaurant at 5pm. As the staff were busy cleaning and it was empty we asked if the restaurant was open yet, in which they replied that it was. We then asked to check that they do Meerkat Meals as we saw it on the app and we were told that we could use it but we would have to book a table in advance. This seemed inappropriate as this was not stated anywhere on the app or the website and the restaurant was empty. As there are other restaurants much more accommodating in Harrogate we chose to eat elsewhere. 16/04/2019: I know this restaurant very well - I know the staff better - and there is ONLY one way to get the most out of your experience here. 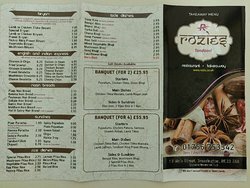 I haven't used/consulted a menu in 10 years - I simply leave it to Jamil - we have a deal, if he gets it wrong I won't go back! He used to ask what meat/veg I'd like just as a guide as to my preference - I just can't be bothered, and in any case Jamil and his staff have never let me down - some of the best cooking is not on the menu anyway - one or two times we've had what the staff were taking home for their own tea - don't even ask me what it was, it doesn't matter, it was delicious. 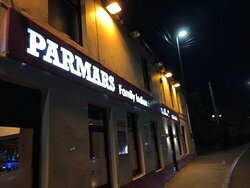 By the way we (those in the know) go to Shalimar at least twice per month - Jamil is so passionate about food it will wear you out but I count him as a great contribution to my quality of life. TOP-TIP: if you are wanting to eat at the usually busy times it would be advisable to book. Ask for a "Mr Bruce Dansak" (made with fresh-spring-chicken) - Jamil says he created it especially for me - maybe? Go find out what he will create for you. 06/04/2019: Visited for the first time and didn’t have a table booked. The staff were very accommodating. The curries were perfectly spiced and the onion bhajis unlike any other! One niggle, in that water isn’t served as standard (as it usually is in most restaurants). I asked for some and was brought one glass of it. The chicken tikka starter was quite dry and tasteless. All starters came on a bed of salad. Ordered a plain naan and it was perfection-not too thick or doughy. The whole place, including toilets, was spotlessly clean. The bill seemed very reasonable for what we ordered. 16/04/2019: Took the wife for a birthday meal and it was brilliant (again) excellent staff, quick service and beautiful food. We couldn't be happier with our visit and would highly reccomend masala to anyone. 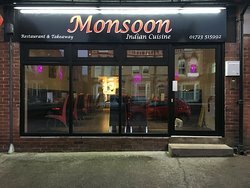 11/04/2019: My wife and I visited the Masala in Bridlington enjoying our favourite Indian cuisine and experience many such restaurants on our travels. 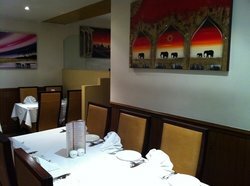 We picked the Masala on the basis of its Trip Advisor reviews and we were not disappointed. 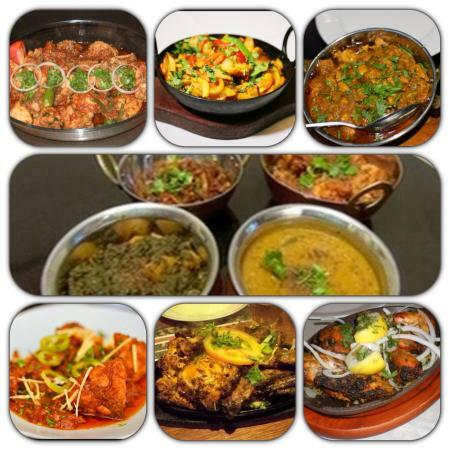 The food was first class and we received impeccable service from Naz and the restaurant staff. 24/02/2019: This is a cosy restaurant. The staff are friendly and if you have any special requirements they'll do their best to accommodate them. Also, if you have any allergies they will recommend dishes for you. 22/02/2019: We can't recommend this Restaurant enough. The Chef caters for any special dietary needs and it is always consistantly excellent. 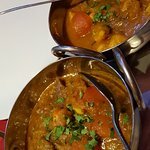 14/04/2019: First class food and first class service easy to see why this is regularly at number one for Indian food in Sheffield. Mutton curry was beautiful and tender and the food was relatively inexpensive for the quality on offer. 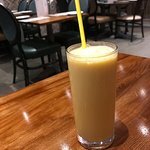 12/04/2019: This is a fun and lively restaurant in the centre of Sheffield serving excellent South Indian food. We had brilliant fish curry and rice dishes. The Chana is the best I've ever had. The staff are exceptionally accommodating and truly helpful in choosing from the menu. We felt genuinely welcome! Very highly recommended. 06/04/2019: It's fair to say that if we hadn't seen the reviews on here the appearance of the place wouldn't have drawn us in. 03/04/2019: We have visited many times, and always have a great experience. 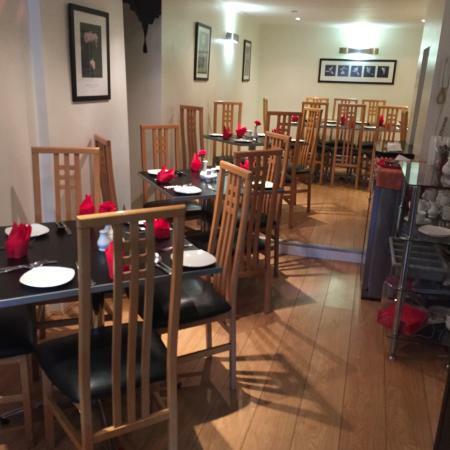 The service is excellent, the food is very good and there is always plenty. There is a fantastic choice.on the menu and it's reasonably priced. Overal a thoroughly recommended establishment.